There is a clear bifurcation of opinions on the adoption and implementation of online voting. On the one hand, some social science research finds that online voting has the potential to make the voting process easier and more accessible for electors (especially under certain circumstances e.g., traveling, mobility issues, away at school, inclement weather, illness) and to positively impact voter engagement. On the other hand, computer security experts caution about security vulnerabilities, with some claiming that the implementation of voting technologies constitutes a danger to our democracy. Many argue that not only are online voting systems and voting machines easy to hack, but also that voter registration databases which are maintained online are potentially vulnerable to attacks by political adversaries. It is not surprising, then, that policy decisions about technological changes in the voting process are frequently guided by technical considerations regarding the security of online voting systems. Canada’s readiness to adopt online voting in federal elections was the subject of an international academic forum on digital democracy and online voting held on September 26 at the University of Ottawa. The Online Voting Roundtable: Electoral Futures in Canada engaged government officials, leaders and members from Indigenous communities, academics, practitioners, and digital technology experts in a sustained discussion on the Canadian and international experiences with online voting and its potential adoption in Canadian federal elections. The event was organized by the Centre for e-Democracy (CeD) in collaboration with McMaster University, an Indigenous Digital Democracy project led by Dr. Chelsea Gabel and the Centre for International Policy Studies at the University of Ottawa. The Roundtable started with a welcome address by Dr. Nicole Goodman, CeD Director, setting the tone for discussion, and engaging opening remarks by the Honourable Maryam Monsef, Minister of Democratic Institutions, who emphasized the need for electoral reform and modernization of Canada’s outdated voting process to meet the needs and expectations of voters. The expert presentations that followed provided a rich context for policy dialogue, exploring topics such as Canadians’ attitudes towards online voting, the experiences of municipalities in Ontario and Nova Scotia with online voting, and its effect on voter turnout. Next, representatives of Indigenous communities, e.g., Nipissing First Nation, Whitefish River First Nation, Huu-ay-aht First Nations, and the Mohawk Council of Akwesasne, brought important insight by sharing their stories and positive experiences in using online voting as a tool for member engagement in decision-making. The afternoon session included presentations by international experts from the United States, Switzerland and Estonia on their countries’ experiences with online voting. This was followed by a session exploring technical considerations for online voting featuring two Canadian experts in computer security from Western University and Concordia University and an American professor from Rice University. The Roundtable concluded with a panel on policy lessons and future possibilities for online voting in Canada, which provided further opportunities for interaction between experts and attendees. 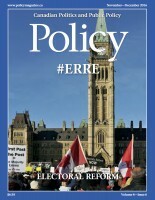 The evidence presented during the Roundtable indicates that currently there is no shortage of political will for voting reform in Canada, which is by no means limited to modernization through the adoption of technology; and that communities across the country have benefited from online voting and the enhanced opportunities for political and civic engagement it can provide. Additionally, opinion polls have shown that the majority of Canadians are in favour of online voting in federal elections and are likely to cast ballots online even if they consider the technology risky. Nonetheless, there remains considerable opposition to online voting from a vocal community of computer security experts who view security risks as very real and imminent. The Roundtable discussions clearly reflected these gaps in risk perception between advocates for online voting and security experts. Although a number of municipalities in Nova Scotia and Ontario have reported mostly positive experiences with online voting, policy proposals and experiments with online voting in other provinces, such as Alberta and British Columbia, have been less than successful. In those cases, concerns about security risks have overridden any other considerations or benefits of online voting. Overall, the Roundtable was an important step towards developing policy recommendations regarding the deployment of online voting in Canadian federal elections, however, lessons learned from past experiences in a Canadian context suggest that skepticism about the future of online voting may be warranted. Dr. Kamenova is an expert in participatory research and deliberative public engagement. 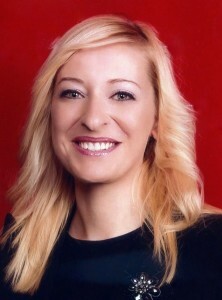 In 2012-2013 she served as the Inaugural Research Director of the University of Alberta’s Centre for Public Involvement and participated in the development of a comprehensive public consultation process on a policy proposal to introduce Internet voting in Edmonton municipal elections, including a Citizens’ Jury. The proposal failed after City Council voted against the Jury’s recommendation to adopt online voting.